By the term, time management, it seems that we are talking about managing the time but in fact, we cannot manage the time as it is fixed but we can manage all the activities of our life. With the listing of required tasks and motive to attain becomes the time management which is meta-activity with the goal to maximize the overall benefit of a set of other activities within the boundary condition of a limited amount of time. In other words, when we plan and exercise on the conscious control of the time spent on specific activities, with a motive to increase effectiveness, efficiency or productivity, it, ultimately, is called the time management. Whatever the field of our life is, either it is study, social life, employment, family, and personal interests, everything has its specific demand. The definiteness of time restrict us to achieve everything with the proper understand and fulfillment of the demand. So the time management is an act of handling all the juggles with the balance. Using time effectively gives the person 'choice' on spending or managing his/her activities at their own time and expediency. Time management may be aided by a range of skills, tools, and techniques used to manage time when accomplishing specific tasks, projects, and goals complying with a due date. Initially, time management was considered just for business or work activities, but eventually the term broadened to include personal activities as well, like the hobbies and the interests of a person, spending time with the friends and family, etc. A time management system is a designed combination of processes, tools, techniques and methods. Time management is usually a necessity in any project development it determines the project completion, the required time and scope. Another scientific study defines the time management in the following way too, which is termed as POSEC method. 1. Prioritize – It is about the prioritizing your time and define your life by goals. 2. Organize – It is about organizing the things you have to accomplish regularly to be successful. 3. Streamline – It is about those things you may not like to do, but must do. 4. Economize – It refers to things you should do or may even like to do, but they're not pressingly urgent. 5. Contribute – It is about paying attention to the few remaining things that makes a difference. During the process of Time Management, there comes an important point, and that is about creating an effective environment with an organized way to work. Here the most important thing which is needed to monitor is the insulation, isolation and delegation. When we start implementing the time management new in our life, the most considerable thing to fight is the recovery from the bad habits of time non-utilization. If we win over this, we start getting the command over the time management. Work List versus To Do List always is like a cricket match where the toss matters. So it must be strongly associated with the strategies based on the recommendation to set personal goals. A task list (i.e. the to-do list) is a list of tasks to be completed, such as chores or steps toward completing a project. It is an inventory tool which serves as an alternative or supplement to memory. Task lists are used in self-management, business management, project management software developments and other projects too. It may involve more than one list too. When one of the items on a task list is accomplished, the task is checked or crossed off. The traditional method is to write these on a piece of paper with a pen or pencil, usually on a note pad or clip-board. Task lists can also have the form of paper or software checklists. Task lists are often diarised and tiered. The simplest tiered system includes a general to-do list to record all the tasks the person needs to accomplish, and a daily to-do list which is created each day by transferring tasks from the general to-do list. An alternative is to create a "not-to-do list", to avoid unnecessary tasks is also important. This planning of the tasks helps you getting all your work done, every day, and if you are unable to achieve, it helps you diagnose where you are going wrong and what needs to change. In the process of doing this, some level of detail must be taken for granted for a task system to work. 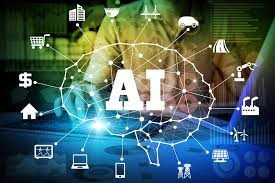 For example, rather than put "clean the kitchen", "clean the bedroom", and "clean the bathroom", it is more efficient to put "housekeeping" and reduce the system's administrative load in maintaining all the categories with the sub-categories. It is said that if you are able to manage your all activities successfully, you have opened the first door to success. 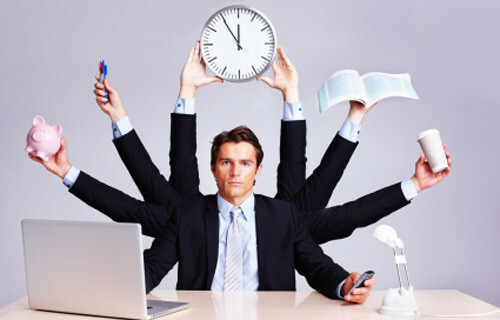 You will feel that in the same specified time, either you are able to play all the important roles defined for you and do all the activities assigned to you, but if you are not able to manage your roles and the respective activities in your specified time, the time passes and passes and nothing comes in hand. So managing the activities in the specified time can bring everything for you and if not done, can take everything from you, neither the personal life’s pleasure nor the professional life’s achievement.